Scofield's Cowboy Campfire events are an evening of old-time cow camp entertainment under the stars at the Red Mule Ranch in Fiddletown, California. 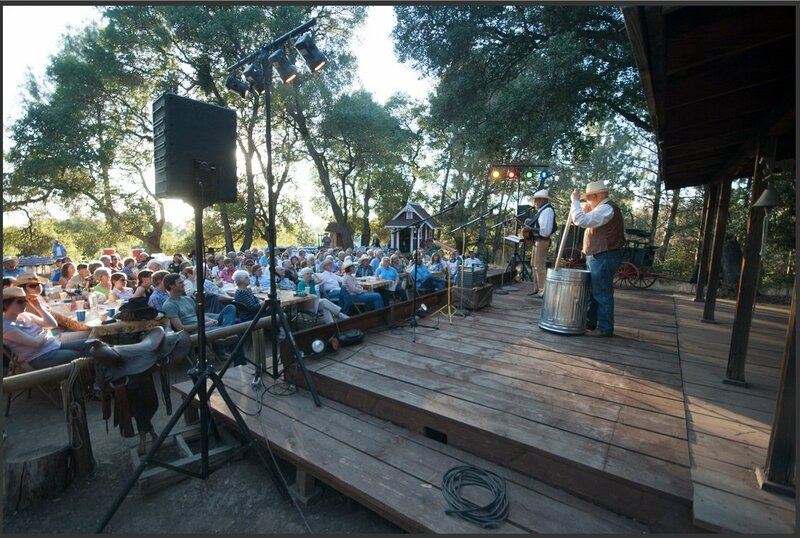 Enjoy a chuck wagon tri-tip dinner, cowboy music, poetry, and story telling in an amazing 1880's setting. Red Mule Ranch has been said by many to have a sort of "magical effect" for those receptive to an era long gone to history but very much alive and well... here.